Senator Marco Rubio will introduce a bill Wednesday that would bar Chinese-owned companies from qualifying for small business assistance. The big picture: It's another move in Rubio's campaign to curb Chinese influence. He's recently sounded the alarm on issues ranging from intellectual property theft to human rights violations. Timing: The bill comes as the Trump administration is reportedly gearing up to limit Chinese companies' ability to invest in U.S. tech companies. The bill includes businesses that are headquartered in China, are owned by Chinese entities, or have at least 25% of their voting stock owned by Chinese investors. Under current law, any small business that legally operates in the U.S. could qualify for grants or loans under small business assistance. Why it matters: The bill would ensure that money intended to stimulate the growth of American businesses does not go to Chinese-owned firms. One more thing: Rubio is also adding language to multiple appropriations bills that would ban federal agencies from buying products from ZTE — a Chinese telecom giant that has repeatedly violated U.S. sanctions and has been labeled a national security threat by the Pentagon. 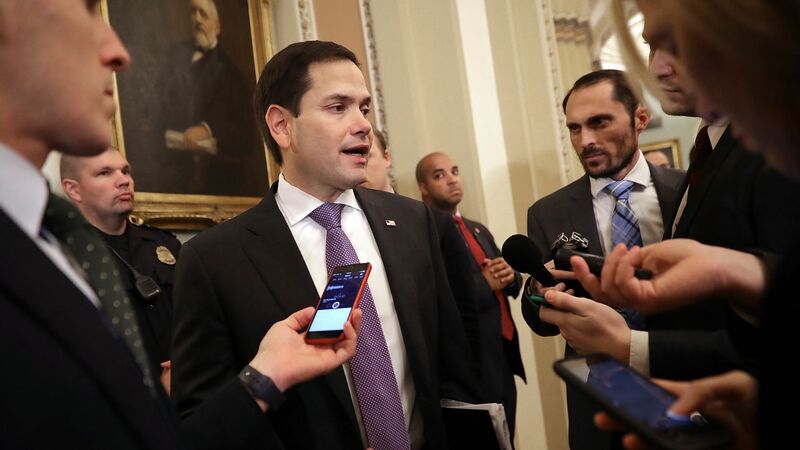 The backdrop: Rubio has been a vocal opponent of President Trump's deal to save ZTE from a Commerce Department ban, which stopped American companies from selling parts to it. He supported the Senate's vote to reinstate the ban.